JALDI JALDI LOOT LO DEAL !!! On Payment page click on PayUMoney 5% discount. 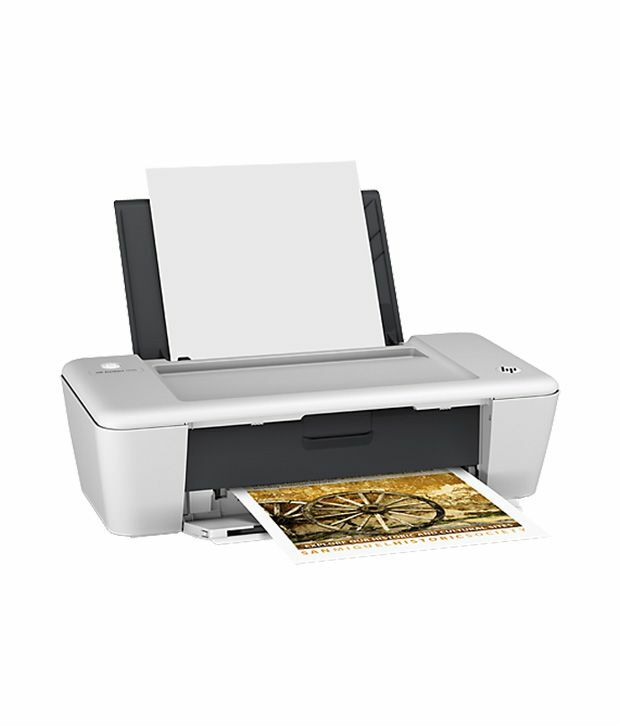 Ideal for home and office use, the HP Deskjet 1010 Single Function Inkjet Printer is equipped to provide high-quality print outs while you print papers, brochures and more. The device can handle printing of papers, envelopes, brochures, labels and cards of sizes A4, A5, B5, A6 and DL. It has an input tray capacity of 60 pages allowing you to store many sheets, and an output tray capacity of 25 sheets to store the printed sheets. The printer comes with a maximum print resolution of 600 x 600 dpi while printing in both colour as well as monochrome making the prints high-quality. The device comes with a USB 2.0 port that allows you to connect it to your computer for printing. With a power input of 100 to 240 volts, the printer consumes around 10 watts while in use and up to 1.6 watts while in the standby mode. For setting up this printer, you need to have a system with Windows XP, Vista, 7 or 8, or Mac OSX 10.6 and above. The hard drive space range varies from 750 MB to 2 GB depending on the operating system in use.